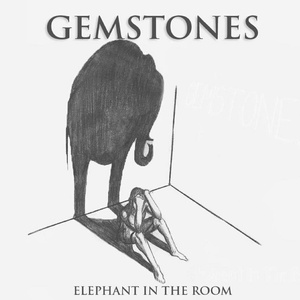 Gemstones returns with a great 2nd album entitled, Elephant In The Room, which was released on Nov. 2, 2012. It has at least 11 tracks definitely worth listening to. This is the 2nd album available on Sola Tunes from Gemstones. Some of the best tracks on Elephant In The Room are Fire In My Heart, Don't Like, Irregular, Dear Music, Dying Breed, Why, and Still The King. The full 15 track list is: #1 Fire In My Heart, #2 Irregular, #3 Dear Music, #4 Dying Breed, #5 Elephant (Skit), #6 Why, #7 Still The King, #8 Today, #9 Don't Like, #10 Make Believe, #11 Kitchen Table, #12 Bottom of the Sky (feat. Hi Money), #13 I Don't Understand, #14 March For Hope, and #15 Jesus Saved Me (feat. Dae Dae).